Jamie S. Rich is a novelist living in Portland, OR. He has published four prose works: Cut My Hair, I Was Someone Dead, The Everlasting, and Have You Seen the Horizon Lately?, released in the summer of 2007. 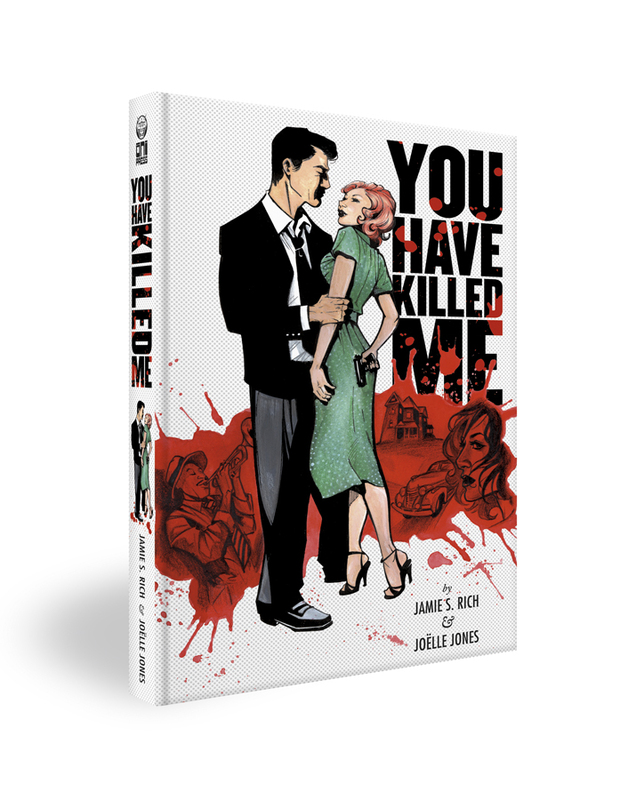 The writer teamed with Joëlle Jones a second time for another full-length graphic novel, You Have Killed Me, a hardboiled crime story set in the 1930s. Oni Press published the book in July 2009, and the pair immediately went into their next project. Zigging instead of zagging yet again, the artistic team has joined with cartoonist Nicolas Hitori De to release the teenage witch comedy Spell Checkers. A third volume will be released in October 2013. More recent projects include the series It Girl and the Atomics; the original graphic novel A Boy and a Girl, created with artist Natalie Nourigat; Archer Coe and the Thousand Natural Shocks, a loopy crime tale drawn by Dan Christensen; and the horror miniseries Madame Frankenstein, a collaboration with Megan Levens. Find out the full lowdown on these and other projects at the author's website: Confessions of a Pop Fan. You can also marvel as Rich dives into his Criterion Collection like Scrooge McDuck swimming through his money at Criterion Confessions. He lives alone with a cat who doesn't understand his obsession with DVDs, but who lets him do as he pleases as long as she is fed. Jamie is also a member of the Online Film Critics Society.